Teachers determine the success of education in the school [1Firman H, Tola B. The future of schooling in Indonesia. Kokusai Kyoiku Kyoryoku Ronshu 2008; 11: 71-84., 2The World Bank. Executive Summary Transforming Indonesia’s Teaching ForceVol. I2010; ]. A school will be effective if the teachers are fully responsible [3Fullan M. The new Meaning of Education Change 1991., 4Lortie D. School Teacher: A Sociological Study 2002.]. The teacher's commitment plays a key role in achieving the good quality of educational goals [5Jannah W. Komitmen Guru dalam Melaksanakan Tugas di Sekolah Menengah Atas (SMA) di Kecamatan Rokan IV Koto. Jurnal Administrasi Pendidikan 2014; 2: 789-831., 6Mart C. A passionate teacher: Teacher commitment and dedication to student learning. Int J Acad Res in Prog Edu Dev 2013; 2: 437-42.]. Commitment determines the success of teaching [6Mart C. A passionate teacher: Teacher commitment and dedication to student learning. Int J Acad Res in Prog Edu Dev 2013; 2: 437-42.]. Commitment is a principle, which must be owned by a professional teacher. Commitment is a person's covenant with itself to carry out a task with full of responsibility, caring, and high loyalty [5Jannah W. Komitmen Guru dalam Melaksanakan Tugas di Sekolah Menengah Atas (SMA) di Kecamatan Rokan IV Koto. Jurnal Administrasi Pendidikan 2014; 2: 789-831.]. Students’ achievement is related to teachers’ commitment. Commitment is a very important factor that enables certain goals to be accomplished [7Jazzar M, Algozzine B. Critical issues in educational leadership 2006.]. Teacher’s commitment to education affects students learning [8Kushman J. Teacher workplace commitment. Educ Adm Q 1992; 28: 5-42. 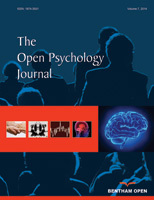 [http://dx.doi.org/10.1177/0013161X92028001002] , 9Reyes P. Preliminary models of teacher organizational commitment: Implications for restructuring the workplace 1992.]. A study [10Hadi S. Effective Teacher Professional Development For the Implementation of Realistic Mathematics Education in Indonesia 2002.] found that teachers' commitment to improving the teaching quality is not encouraging as they still use conventional strategies, although they receive the training. Students' achievement was low due to low teacher commitment to the teacher’s professionalism [11Nilan P. Teachers’ work and schooling in Bali. Int Rev Educ 2003; 49: 563-84. [http://dx.doi.org/10.1023/B:REVI.0000006928.59011.ef] ]. Factors that contribute to teacher commitment include status perception, expectations of people, the profession of interest, intrinsic motivation, social motivation, positive group motivation, perceived advancement, and skills improvement for professional purpose. High commitment of teacher affects the goal and value of teacher professionalism [12Raju P, Srivastava R. Factors contributing to commitment to the teaching profession. Int J Educ Manag 1994; 8: 7-13. [http://dx.doi.org/10.1108/09513549410065684] ]. Area of commitment consists of commitment for the student, commitment for the community, commitment to the profession, commitment for the excellent action, and commitment of basic value. Commitment for student needs to hold due to the student needs the teacher who understands their instincts, learning needs, and student capacity. Commitment for a community related about the schools and community. Commitment for the profession is the various innovative method of teaching to achieve effective learning. Commitment for the excellent value is the teacher who commits for searching to become a professional and a better teacher. Commitment to the basic value is that the teachers serve as the role models for the students [13Shukla S. Teaching competency, professional commitment and job satisfaction-A study of primary school teachers. IOSR J Res Meth Edu 2014; 4: 44-64.]. Commitment is divided into three dimensions, i.e. organizational commitment, professional commitment, and union commitment [14Kadyschuk R. Teacher commitment: A study of the organizational commitment, professional commitment, and union commitment of teachers in public schools in Saskatchewan 1997.]. According to a study [15Allen N, Meyer J. The measurement and antecedents of affective, continuance, and normative commitment to the Organization. J Occup Organ Psychol 1990; 63: 1-8. [http://dx.doi.org/10.1111/j.2044-8325.1990.tb00506.x] ], commitment to the organization is the readiness to stay in the organization by connecting to the organization's goal. Hence, this study [15Allen N, Meyer J. The measurement and antecedents of affective, continuance, and normative commitment to the Organization. J Occup Organ Psychol 1990; 63: 1-8. [http://dx.doi.org/10.1111/j.2044-8325.1990.tb00506.x] ] addressed that commitment comprises three components i.e. affective, normative, and continuous. Professional commitment is the extent of the people acceptance of the profession and its value. Union commitment is a commitment to the professional association or union [14Kadyschuk R. Teacher commitment: A study of the organizational commitment, professional commitment, and union commitment of teachers in public schools in Saskatchewan 1997.]. Affective commitment, which is also addressed as attitude commitment refers to one's attitude that feels the relationship between himself with the organization is parallel. People with high affective commitment will remain in the organization because they are willing to [15Allen N, Meyer J. The measurement and antecedents of affective, continuance, and normative commitment to the Organization. J Occup Organ Psychol 1990; 63: 1-8. [http://dx.doi.org/10.1111/j.2044-8325.1990.tb00506.x] ]. Normative Commitment, which is one's desire to stay in the organization because of tasks and work obligation, dedication, or morale. Normally, this commitment is encouraged by individual culture and work ethics, making one feels obliged to keep staying in the organization. This commitment is different than the other two commitment because this commitment does not relate to the purpose or mission of the organization, but purely because of the values being carried along by the personnel [15Allen N, Meyer J. The measurement and antecedents of affective, continuance, and normative commitment to the Organization. J Occup Organ Psychol 1990; 63: 1-8. [http://dx.doi.org/10.1111/j.2044-8325.1990.tb00506.x] ]. Continuous commitment is referred to as calculative commitment, in which one considers economically that he needs to continuously be in the organization. The consideration is based on two points: (1) as an individual whose future is guaranteed, has become a senior personnel, expertise and membership that cannot be transferred, local affiliation, family bonding, and so on that need economic sacrifice; and (2) one that feels he has to continue to be in the organization because he has no other work option [15Allen N, Meyer J. The measurement and antecedents of affective, continuance, and normative commitment to the Organization. J Occup Organ Psychol 1990; 63: 1-8. [http://dx.doi.org/10.1111/j.2044-8325.1990.tb00506.x] ]. The factor that has an impact on teacher's organizational commitment is organizational climate school. Organizational climates school has an impact on employee’s positive emotions. The positive emotion of a teacher has implication on the organization [16Riad L, Labib A, Nawar Y. Assessing the impact of organisational climate on employees commitment. Bus Manag Rev 2014; 7: 357-64.]. The characteristics of low achievement schools are low quality of school building, low-performance students, unhealthy environment and school culture, less efficient teachers and headmasters, and less innovative and less creative learning process. The characteristics of excellent schools are excellence, competence, and good performance schools [17Aslamiah and Suriansyah A. Teacher’s job satisfaction on elementary school. Relation to learning environment. Open Psychol J 2018; 11.]. Organizational Commitment Questionnaires (OCQ) by Allen and Meyer (1990) has been used to measure teacher’s organizational commitment. The organizational commitment questionnaires contain 24 items in three dimensions, (1) commitment for the schools effectively, (2) commitment for the schools continuously, (3) commitment for the schools normatively. All eight items of the affective commitment depend on the target and tap the mindset, and emotional attachment. Six items of continuous commitment refer to the organization, tap perceived costs or barriers to exit, and staying/leaving behavioral terms. Eight items of normative commitment scale refer to the organization. Five of the eight items directly refer to the focal behavior, staying/leaving. Three items indirectly refer to it (they mention remaining loyal or something similar) [18Jaros S. Meyer and Allen model of organizational commitment: Measurement issues. Icfai J Org Behav 2007; 4: 8-25.]. According to Allen and Meyer (1990), the instrument is valid and reliable to measure teacher’s organizational commitment through its five-point Likert scale with 1=strongly disagree; 2= disagree; 3=in between agreeing and disagree; 4=agree; 5=strongly agree. Cronbach alpha is used to measure the reliability, in which alpha should be greater than 0.7 [19Nunally JC. Pschometric Theory 2nd ed. 1978.2nd ed., 20Azwar . Seri Pengukuran Psikologi, Reliabilitas dan Validitas. Yogyakarta: Liberty UGM 1986.]. The results of the reliability test. Mean of organizational commitment based on school type. One-way anova for organizational commitment in excellent and low achievement schools. The result shows that mean value of each commitment is high value. The continuous value has the highest value. The continuous value explains that the teachers in Banjarmasin commit for their schools for the economic reason. Teachers commit for their school due to the work in the state elementary schools. They also work as the government worker, hence they must have the high commitment to works as the professional teachers. The teachers also get the certification funds from the government to be the professional teachers [21Arisanty D, Normelani E. Improvement of Teacher Professionalism through Certification Fund. 2016. In: International Conference on Education and Regional Development; Bandung: Universitas Pendidikan Indonesia. 2016.]. The government can stop the certification funds if the teachers have a low commitment. The teachers teach 24 hours/weeks as the requirement to get the certification funds. The teachers' hard work is a form of teachers organizational commitment. Mean value of teacher’s organizational commitment in excellent school has a higher value than no achievement school. The mean value for teacher's organizational com-mitment in excellent schools is 3.93. 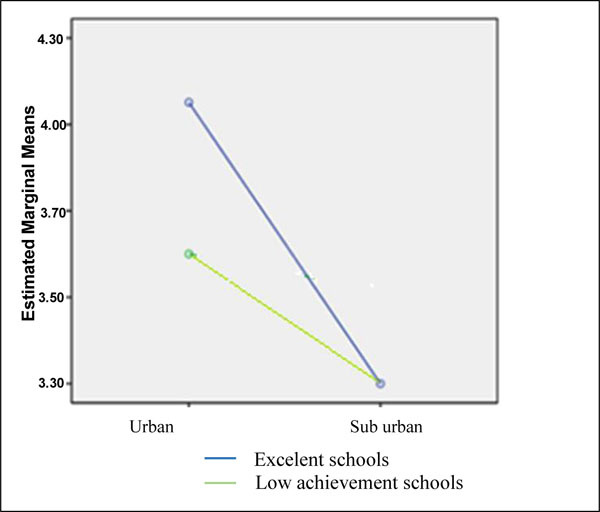 Mean of organizational commitment for low achievement schools is 3.38. Teachers in excellent school have a high commitment to their organ-izational than low achievement schools. The teachers always improve their quality as professional teachers [22Mohamad R, Kasim A, Zakaria S, Nasir F. Komitmen Guru dan Kepuasan Kerja Guru di Sekolah Menengah Harian Berprestasi Tinggi dan Berprestasi Rendah di Daerah Kota Bharu, Kelantan. International Seminar on Generating Knowledge Through Research Universiti Utara Malaysia 2016.]. Primary education needs the high commitment of teachers to build the strength of primary education. Primary teachers need the satisfaction and good environment to build the high commitment the primary teachers due to the teachers' jobs are formed the quality of student and student acceptable in their environment [13Shukla S. Teaching competency, professional commitment and job satisfaction-A study of primary school teachers. IOSR J Res Meth Edu 2014; 4: 44-64.]. The school environment has a stronger impact on teachers' commitment [23Yu H, Leithwood K, Jantzi D. The effect of transformational leadership on teachers’ commitment to change in Hong Kong. J Educ Adm 2002; 40: 368-89. [http://dx.doi.org/10.1108/09578230210433436] ]. Organizational climates create positive effects to increase teachers’ responsibility [24Hosseini M, Nia H. Correlation between organizational commitment and organizational climate of physical education teachers of schools of Zanjan. Int J Sport Stu 2015; 5: 181-5.]. Organizational climate has an impact on employee’s positive emotion, especially for teachers’ positive emotions in school, which is indicated by strong links, an identification with, and implication for the organization and their responsibility toward the organization [16Riad L, Labib A, Nawar Y. Assessing the impact of organisational climate on employees commitment. Bus Manag Rev 2014; 7: 357-64.]. Interaction among excellent and low achievement schools in urban and suburban areas in banjarmasin. Two-way ANOVA for teacher’s organizational commitment in excellent and low achievement schools in urban and suburban areas in banjarmasin. Nunally JC. Pschometric Theory 2nd ed. 1978.2nd ed.